Board Member Notes: The Magnetic Gorge By John Heeren – Columbia Gorge Wind & Water Assoc. 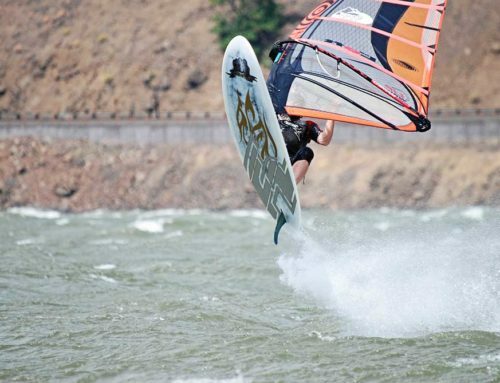 The Gorge is a paradise to most windsurfers. It’s an exotic destination with breathtaking views, scenic launch sites, and ideal wind and conditions for every type of sailor. We travel from all over the world to create a chance to relax and push the stress out of our lives. We escape the large cites, the traffic, and constant work responsibilities; busting our behinds to chase yet another euphoric summer trip to the Gorge. We love sailing the Gorge, but back home most find not so exotic sailing and a small tribe of sailors scouting wind and driving to their local mudhole (in my case) to get their sailing fix. Let’s face it, the sport is simply not growing in many areas, but these small clans across the nation are as dedicated as they ever were. I’m from Memphis and believe me when I tell you we have a micro scene in our area. We’re grateful to have anyone to sail with some days. At most, there are 6 sailors in Memphis who can get in the straps and harness. All are accomplished sailors and we’ve all spent time in the Gorge. During our sailing season, primarily from October to May, we’re tuned into local weather and water conditions like undercover operatives on a mission. It’s not unusual to see group texts start flying 3-4 days ahead of a projected wind event. Alarms are set and gear loaded for any potential 20 knot wind. When we get it, it’s pure gold and this El Nino winter has been the equivalent of the Comstock Lode. We sailed every month since September. Sometimes solo, at best, two to three other sailors on the water, with numerous 30-40 mph blows. The fall typically brings warm, punchy southerlies across the south ahead of the rains. The north winds fill in behind the rains as the mercury plummets, but these can be some of our strongest and most steady winds. We pull out the thick suits and go out with the wild ones, the pelicans and ducks. Its duck weather, after all. You know you want it bad when your fingers lose the strength to turn the key in the door lock when you get back to the car. You just want to warm your feet and hands so you can derig, only to find your hands won’t cooperate. We’d have kept sailing, but our feet felt like two dead fish on the deck. In times like these we’re so thankful for our fellow sailors. The best bros in our lives, huddling in the van hoping our feet thaw out, all the time wondering if we’ve sustained permanent damage this time. This is a scene playing out all winter across the nation. I’ve seen guys at Lake Champlain hiking their gear through snow to get to the water. Now that’s dedication! 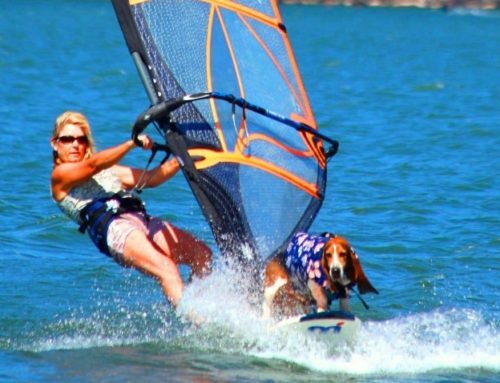 There are dozens, if not hundreds of small windsurfing communities of die-hard sailors across the country. Summer in the Gorge is like a calling of the clans. It’s like someone throws the Electro-Magnetic switch to summon the vast, like-minded hearty souls spread across the world. If you’ve ever wondered where we all come from to fill the rental houses, restaurants, and parking lots of Gorge launch sites, it’s from hundreds of small localized tribes. We need it and live for it. We hone our skills during frosty weather and grey winter skies, and you can bet we’re hitting the gym in between, focused solely on ripping those magic Gorge waves. We want it and we are coming to get it again this summer. Are you, too, from a microscopic sailing scene? We’d love to hear your local story!